Exactly one month after Frank Stronach sued his daughter in a $520-million (CDN) civil suit claiming she is mismanaging the family’s financial empire while forcing her father out of control of the fortune he built, the son of the 86-year-old Thoroughbred magnate has now launched his own lawsuit against his sister alleging malfeasances that mirror many of his father’s claims. A chief allegation made by Andrew Stronach, 50, against Belinda Stronach, 52, claims that he is suffering because of a “complete breakdown in trust and confidence” between family members over control of trust finds and business operations. The point where this power struggle crosses the line from private family spat to a public item of importance within the horse racing community centers on The Stronach Group (TSG), a complex tangle of 253 family-owned businesses and trusts whose portfolio includes six United States tracks–Santa Anita Park, Golden Gate Fields, Gulfstream Park, Laurel Park, Pimlico Race Course and Portland Meadows. 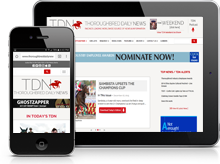 As for the financial condition of the country’s largest privately-owned racetrack conglomerate, Tim Ritvo, TSG’s chief operating officer, told TDN via phone Monday that “there are no liquidity issues” and that no TSG tracks are actively being shopped right now. “I’m unaware of any [of our] tracks that are up for sale, with the exception that there had been talks about Portland Meadows,” Ritvo said, underscoring that those Portland Meadows discussions had been initiated long before the two lawsuits were filed Oct. 1 and Nov. 1. “No other track is for sale, for sure, 100%,” Ritvo said. “Racing and gaming is in very good shape” at TSG. The court documents from both civil claims (read coverage of Frank Stronach’s initial Oct. 1 bombshell lawsuit here) allege a bitter family rift that has been widening behind the scenes for years. Frank Stronach, the Canadian business titan whose rags-to-riches rise is well known within the racing industry, ascended from a small-scale Ontario horse owner and breeder to a global Thoroughbred power player over the course of six decades. He concurrently grew wealthy as an auto-parts magnate, and eventually formed various trusts to share the fortune with family members. His wife, Elfriede, has joined him as a co-plaintiff in the suit against Belinda. Belinda Stronach came on board to help run a corporate predecessor to TSG in 2001 as its chief executive. By 2013, Frank Stronach had assumed the title of TSG’s “founder and honorary chairman”, while Belinda Stronach took on greater day-to-day executive powers within the company and in managing the family trusts. Andrew Stronach wasn’t as involved in TSG’s Thoroughbred endeavors. According to his lawsuit, “He has dedicated his life to agricultural pursuits, including by owning and operating farms in Ontario.” Nevertheless, through a trust fund now controlled by his sister, he owns a 23.1% stake of TSG, according to his court filing. The plaintiffs’ two separate lawsuits both point to a time in 2013-14 when the family allegedly began to squabble in earnest over the control of assets. Frank Stronach would later allege in his lawsuit that upon his return to TSG, his daughter first began forcing him out of control over even routine business decisions and expenditures. She did this, he claimed, with the alleged help of Alon Ossip, the chief executive of TSG, whom he named as a co-defendant. Belinda Stronach’s children, Nicole and Frank Walker, ages 25 and 27, respectively, were also named as co-defendants in their grandfather’s suit. Both served as trustees of family assets from 2013-17, according to the suit. Now all of those above-named defendants are duplicately named in the civil suit that Andrew Stronach just initiated. Where Andrew Stronach’s suit differs from his father’s chiefly has to do with claims for monetary compensation: Andrew isn’t seeking any, although like Frank, he is demanding the removal of all the defendants from their various corporate officer and trustee positions related to the Stronach empire. Andrew Stronach is also seeking an order requiring “a full, detailed and proper accounting” of TSG and its related trusts, plus tracing orders showing all money moved into and out of TSG by the defendants. He claims he has been unable to get any of this sort of documentation from the firm since the start of 2018. In an attempt to get a handle on the alleged TSG malfeasances, Andrew Stronach claims that he has made written requests for financial information on almost a monthly basis so far during 2018, but that he has either been stonewalled or given incomplete data. Paul Deegan, a spokesperson for Ossip, wrote in an email that Andrew Stronach’s allegations about financial records being kept from him are untrue. 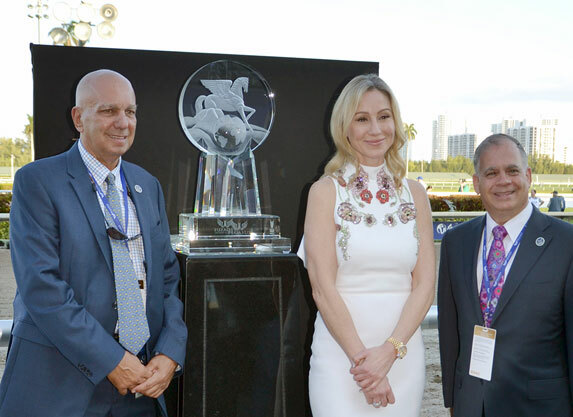 In a Nov. 2 article, the Toronto Globe and Mail reported that six weeks before Frank Stronach filed his initial “blistering” lawsuit, Belinda Stronach tried to resolve the years-long dispute with a “King Solomon” type of agreement: A split of the family businesses that would give her ownership of the horse racing assets (“a cash-generating business with great real-estate assets,” according to the newspaper) with her father taking sole control of Adena Farms (“an organic food business that is probably years from profitability”).